Home › Why write for us? Why Write with Online Writing Jobs? 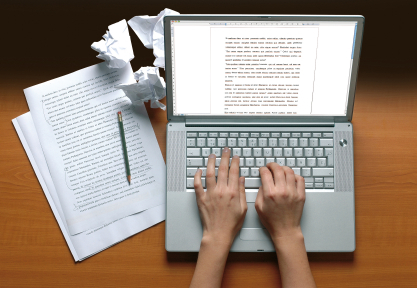 As a freelance writer with Online Writing Jobs, you can get paid to write online and on your own time. We act as an agent of sorts, advocating for your writing skills, facilitating content orders, and communicating with clients directly so that you can focus on what you do best – creating great content! We’re a legit content creation company, established in 2006, with nearly 50,000 writing projects under our belt and a deep appreciation for quality writing and SEO best practices. Our loyal writers and clients understand the importance of creating optimized SEO content that benefits both readers and robots. For this reason, we work to create that beautiful mashup of Web content perfection with each writing project created. All Experience Levels Welcome: You don’t need to have a decade of writing experience and an advanced degree to work with us. Sure, those things are nice, but not all of us are subject -matter experts; some are just breaking into writing as a profession, and we want to help you build out that résumé and take your writing career to the next level. Proactive Assistance: Our team of in-office editors and administrators are here to help you with any question, no matter how big or small. Get answers to questions on processes, expectations, and project-specific issues in a timely manner during business hours: 8 a.m. to 5 p.m. Eastern time, Monday-Friday. Choose Your Own Writing Adventure: We will not assign writing projects to your account. Our writers have the freedom to pick and choose the content they want to write from the claimable writing projects requested by our clients. No-Frills, No-Fuss Invoice and Payment System: There’s one golden rule in the world of freelance, and it ties into that tried and true law of reciprocity (do unto others…) It’s “don’t mess with someone’s pay.” Our simple, per-project payment structure and consistent invoice system are transparent. You’ll always know what your payout is, based on our established grading rubrics, and submitted invoices are processed weekly. The Opportunity for Dedicated, Long-Term Writing Projects: It’s common for our clients to purchase multiple months’ worth of content deliverables to be created by a single, dedicated content writer. Our freelance writers have the opportunity to take advantage of these long-term projects that provide a level of consistency that is hard to find when freelancing. So now that we’ve tooted our own horn, find out what our freelance writers are saying!